Our Roof Care Program provides a proactive solution and process for our clients; not a reactive solution. All of our clients have access to an online portal that provides them with all of the information to their properties. Each property will show all of the completed work, on-going work, as well as budgeted future work. We are able to centralize what is best for our clients. We are now a value partner and a value consultant. You can also request a service call that will send you email updates in real-time all with the click of a button. 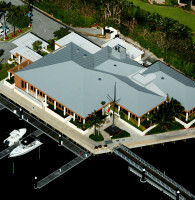 This gives our clients access to all of their roofs in the palm of their hand, 24/7/365! When you’re a building owner or property manager, your hands are full of so many responsibilities it’s hard to hold everything together. Building systems have to be maintained, repaired or replaced on any given day at any given moment and all under constant budget constraints and deadlines with fewer resources to help you manage it all. Being prepared and organized with the right information is critically important when it comes to managing your portfolio. Consider one of the largest assets in your portfolio……roofing for example. A critical component to the operational aspect of any building. A poorly maintained roof will not only deplete revenue quickly but it can potentially be a disaster for other building assets as well as building occupants. These costs and frustrations can add up quickly. What if your portfolio consists of managing multiple roofs at multiple locations with multiple buildings? How you monitor these assets can be crucial to the longevity of that asset and your bottom line. If you knew the condition of those roofs ahead of time, could you use that information to extend its life and save on your cost of ownership or your clients? Hi-Tech Roofing has the solution for you with their on-line cloud based asset management program called Roof Care. Hi-Tech Roofing’s Roof Care Program is the best resource for taking control of all of your roofing requirements. Roof Care provides Hi-Tech’s clients with consistent and accurate, current as well as historical data that allows building owners and property managers to plan and be prepared to manage their roofing assets. Thus eliminating surprises while gaining greater control of capital and expense spending. With our Roof Care Program, you will be able to set up your portfolio, manage individual buildings, and multiple properties in one convenient and easy to use on-line platform. Whether in the office, at home or in the field the information you require is always available when you need it at your convenience. With the click of a button you will instantly have access to a complete listing of each property and individual building all centralized for your convenience in one place. You will now have detailed information broken down and stored per property and per building. You will be able to drill down to current as well as past roofing and repair projects. View before and after photo documentation of all service and repair work sorted by individual building and property. 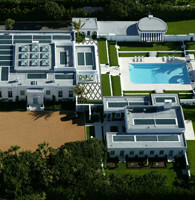 See Aerial views of each individual building broken down into separate and manageable sections. Maintain and view historical information on each roof with progress photos, Permit Information, Service and Repair Information, along with all Warranty Information. With our easy to use on-line portal you will be able to authorize and follow all service dispatches in real time and track the progress of individual service calls from the initial call, to jobsite arrival, completion, to billing. Thus we can now provide you with Service Calls in a consistent, trackable, and predictable fashion in one location 24 hours a day, 7 days a week, 365 days a year. By simply logging in to My Hi-Tech Roofs you will be able to choose from three tiers of portfolio and asset management: Hi-Tech Service, Hi-Tech Portfolio, and Hi-Tech Roof Care. Each tier will allow you different management tools from simply repairing one leak to comprehensive Roof Care and Portfolio Management Programs. You will be able to view all account information in your entire portfolio sorted by property and individual building in this amazing new platform. You will have fully detailed and comprehensive roof reports, you will get a Roof Rating Score (RRS) on each individual building, you will be able to see the Remaining Serviceable Life (RSL) of each individual roof. You get complete work history reports that document every repair and service call sorted by property and building. You can now prioritize your individual building budgets with our Budgeting Program feature. On new construction projects as well as on re-roofing projects you will be able to view in real time the progression to completion of each project. You will have the ability to view all invoices by building and stay on top of all payments made with our billing and Invoicing Data Base. All data can be organized by life expectancy, roof size, and suggested capital investment. You now have objective analysis and financial guidance to aid in the decision making of whether to repair, maintain or replace individual roofs within your portfolio. Thus allowing for the proper planning, distribution, and capital funding of your expenditures. Hi-Tech Roofing’s Roof Care Program takes the guess work out of your roofing decisions which allows you to make informed Pro Active decisions and prepare intelligent and accurate capital budgets for your entire portfolio. Hi-Tech Roofing’s Roof Care Program allows you to be more consistent with your data collection which will provide for consistent processing and consistent results. Call 1-877-586-3110 to set up your free account and begin your commitment to excellence! A poorly maintained roof will not only deplete revenue quickly but it can potentially be a disaster for other building assets as well as building occupants. Hi-Tech Roofing has the solution for you with their on-line cloud based asset management program called Roof Care. You will be able to view all account information in your entire portfolio sorted by property and individual building in this amazing new platform.